A new update in the Featured shop! This time you will find the most popular Mystery Boxes for the all kind of needs! Lunar New Year is almost here and to celebrate we have prepared some special discounts on a top favorite items! Going to get some Capsules? Then check this out! An only one time offer that gives you an extra 30 Capsules for FREE! Isn’t this great? And don't forget that it's Double Overlap in Tiered Spender! Two loyalty reward programs will be active at the same time! 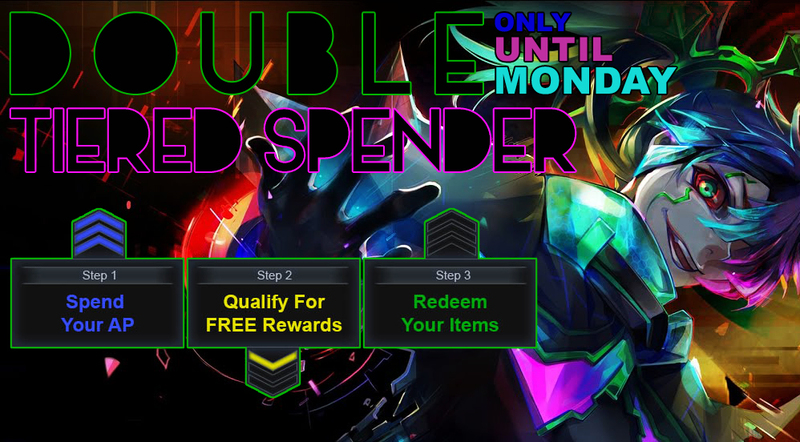 Until Monday February 8th 15:00 CET time, we have February and Parrot Marco Tiered Spenders running for a DOUBLE OVERLAP! For each of your purchases, you will receive free rewards from these Tiered Spenders. Hurry, this offer is just for 3 days! Click HERE NOW to start taking advantage! You can redeem the prizes from the tier at any time during the event duration, just click 'Redeem' and check your inventory in S4 League! The AP you spend on any purchase (Webshop and In-game Shop) will be added together and when you reach the AP goal you will qualify to redeem this tier! Please note that there might be a delay of up to 10 minutes when you spend AP but it is applied to your Tiered Spender and it is still possible to claim your rewards 24 hours after the Tiered Spender ends. The green bar means that the tier was unlocked and you can redeem your prizes - simply click "Redeem". The orange bar indicates that the prizes were redeemed and the blue bar indicates the progress to the next tier. Click here to read more details about Tiered Spender.